13 Feb 2019 / 09:53 H.
KUALA LUMPUR: Bursa Malaysia traded sideways in early trade today on lack of local leads, while ignoring the firmer regional tone on positive external developments. At 9.16 am, the benchmark FTSE Bursa Malaysia KLCI (FBM KLCI) stood at 1,688.07, up 0.66 of-a-point from Tuesday’s close of 1,687.41. A dealer said the improved sentiment in regional markets after Wall Street surged more than 1.5 per cent in overnight trade failed to be replicated in the local market. “Immediate support for the FBM KLCI stays at 1,680 while immediate resistance will be the recent high of 1,705,” he added. 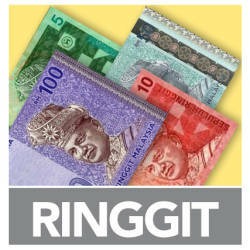 Among heavyweights, Maybank eased two sen to RM9.54 and Public Bank lost six sen to RM24.90. 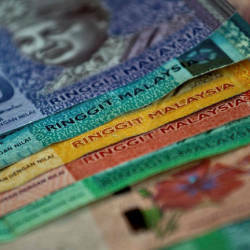 TNB perked six sen to RM13.16, Petronas Chemicals gained two sen to RM8.43 and CIMB gained one sen to RM5.83. Of the actives, E&O improved 2.5 sen to 87.5 sen, Velesto Energy gained two sen to 22.5 sen, Econpile climbed 1.5 sen to 49.5 sen and Barakah edged-up one sen to 14.5 sen.
Tatt Giap was flat at 10 sen. The FBM Emas Index increased 10.51 points to 11,738.26, the FBMT 100 improved 10.24 points to 11,605.88 and the FBM Emas Shariah Index went up 24.1 points to 11,605.54. The FBM Ace Index was 17.09 points higher at 4,633.58 and the FBM 70 rose 35.79 points to 14,012.16. Sector-wise, the Financial Services Index was down 2.91 points to 17,715.1 while the Plantation Index edged-up 17.02 points to 7,348.11 and the Industrial Products and Services Index was 0.39 of-a-point higher at 161.42. Market breadth was positive with gainers outpacing losers 204 to 95, while 202 counters were unchanged, 1,352 untraded and 23 others suspended. Turnover was at 244.39 million shares worth RM103.19 million. Gold futures contracts on Bursa Malaysia Derivatives opened untraded today. As at 9.32 am, February 2019, March 2019, April 2019 and May 2019 stood at RM171.30, RM171.30, RM171.60 and RM171.70 a gramme respectively.